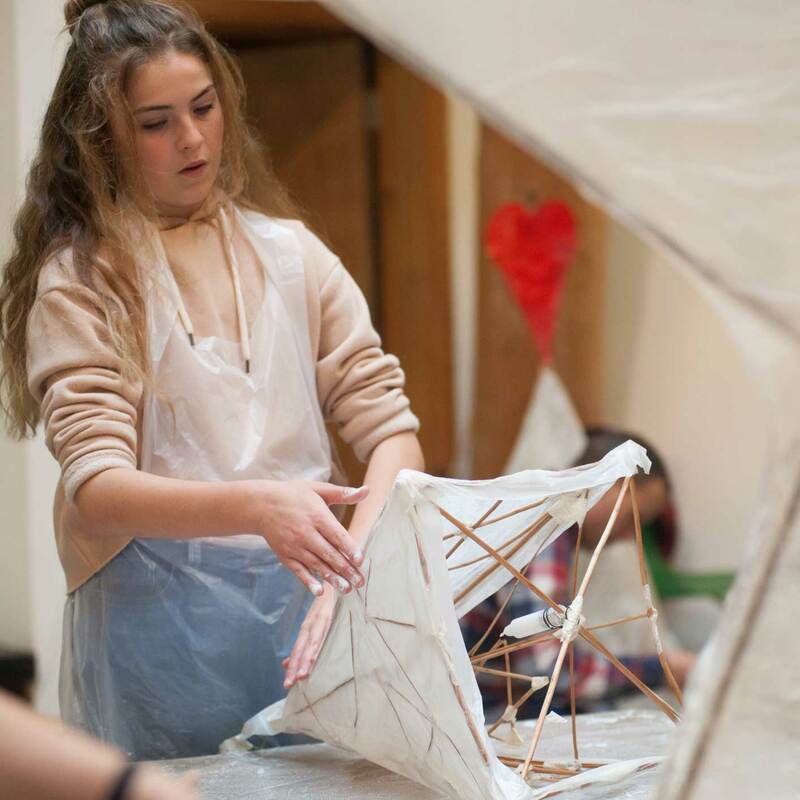 Book ahead and join a free Public Lantern Making session at Small World Theatre! Small World Theatre is delighted to announce that Cardigan can look forward to another creative and imaginative Giant Lantern Parade on 7 December starting 7pm thanks to a grant from the Big Lottery Fund. We would also like to thank Tesco Bags of Help for their contribution to lantern making workshops and materials. Spend the morning creating your lantern framework using sustainable materials. Get messy in the the afternoon adding glue and tissue paper to your willow frame. Please note that you will need to spend the whole day with Small World Theatre. Bring a pack lunch. All lanterns are stored safely at Small World Theatre until the Parade. Lantern Making Workshop are limited to 70 people per Sunday and participants are advised to book ahead. Suitable for ages 6 +. Ages 6 – 7 years must work with an adult. We have designed a new Fish Lantern. If you decide to make the large fish, you will work in pairs or as a family. Please note that children aged 8 + must work with an adult. We have designed a Boat Lantern for ages 8 + who wish to work individually. We regret that due to high demand for places, we are offering one workshop per lantern maker/ family this year.